Let’s face it, we’ll take just about any opportunity to talk about our four-legged head of HR, Pixel The-Dog Berry. While Pixel is our unofficial brand ambassador, the practice of using animals in logos and mascots to symbolize aspects of a brand is as old as branding itself–and some of these animals have fascinating origin stories. One of the most ubiquitous and yet misunderstood uses of animal symbolism is the animal representations of the two main American political parties: the democratic donkey and the republican elephant. The donkey came first, when in 1828 someone called Andrew Jackson a jackass, and he decided to adopt the animal as a representation of a hard-working creature. 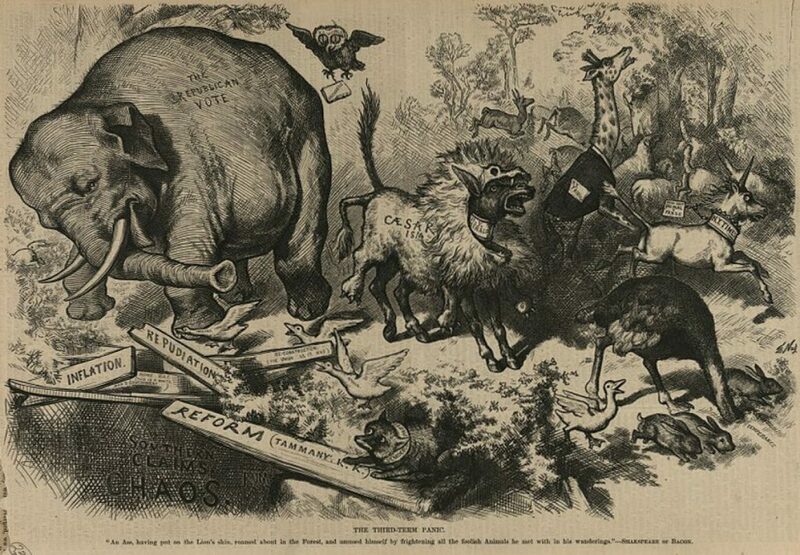 The elephant followed later, from a political cartoon showing the “political zoo,” with a donkey in lion’s clothing scaring the other animals away, including an elephant labeled “the Republican vote”. In a similar fashion, the Republican Party then adopted the elephant as a symbol of a dignified and strong animal. While neither party chose their animal representation, both have used them as symbolic representations of the characteristics they deem most important. Read more about political animals here. 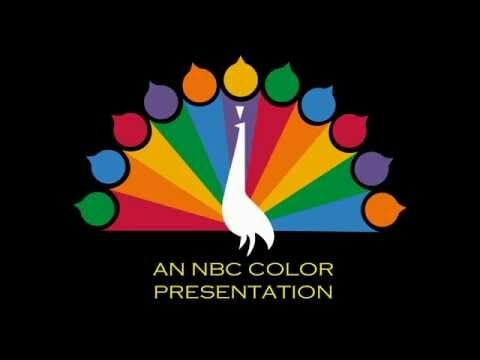 On the other side of the spectrum, NBC carefully chose their iconic peacock, created by designer John J. Graham in 1956, for one characteristic: color. This logo coincided with their increase in color programming, and the eleven-feathered peacock was not only a symbol, but a marketing tool to sell color television sets. Their choice of an animal which naturally had all the attributes they were looking for in a logo led to a true modern icon, which has to this day stood the test of time. Find more about the history of NBC’s iconic logo here. 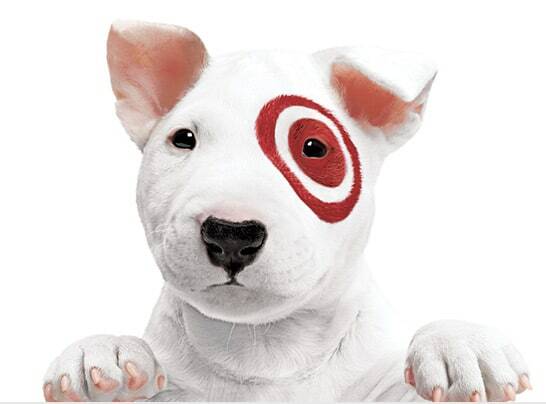 Although he isn’t in the logo, Target’s mascot, Bullseye (the bull terrier formerly known as Spot), wears the brand (in animal-safe, vegetable-based paint) with pride and affection. Bullseye appears in television commercials, print advertisements, in-store branding, and in novelty toys. He’s even recently been immortalized in a Pop! Vinyl figurine, proving that Target has created a staple of pop culture. So what is Target trying to convey through their furry ambassador? A four-legged friend creates the feeling that the brand is a part of the family, while the stoic face of the bull terrier keeps the dog from becoming a goofy distraction. While he may seem like simply a fun mascot, Bullseye is Target’s calculated choice for how they want their brand to be perceived. Read a detailed account of the secret life of Bullseye here. 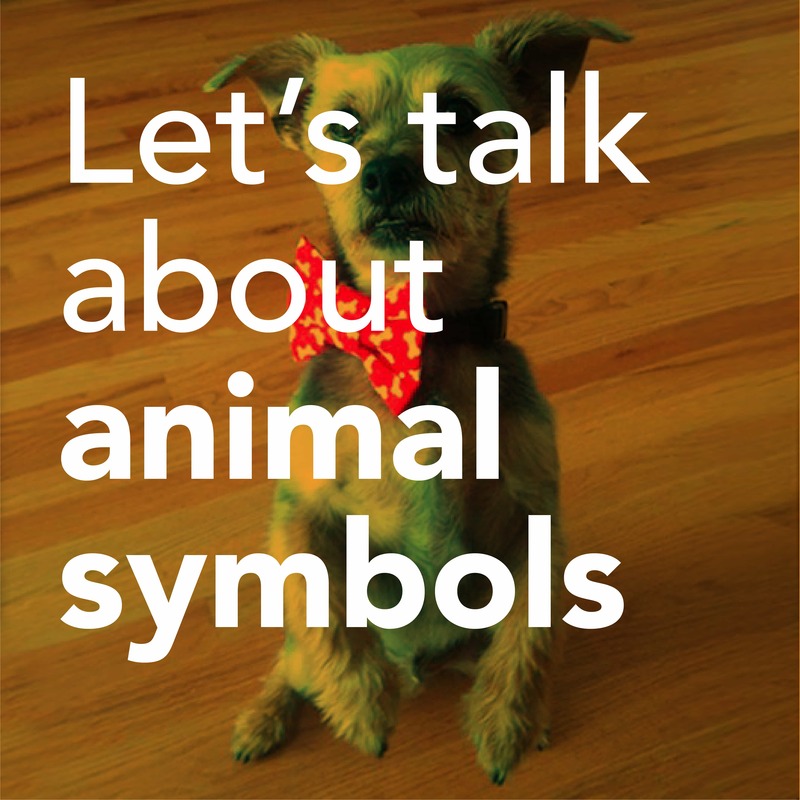 Here at JB Design, we recognize the symbolic power of animals. That’s why when Southern Connecticut Wine Company, a Connecticut local winery, came to us to revitalize their image, we knew exactly what to do. 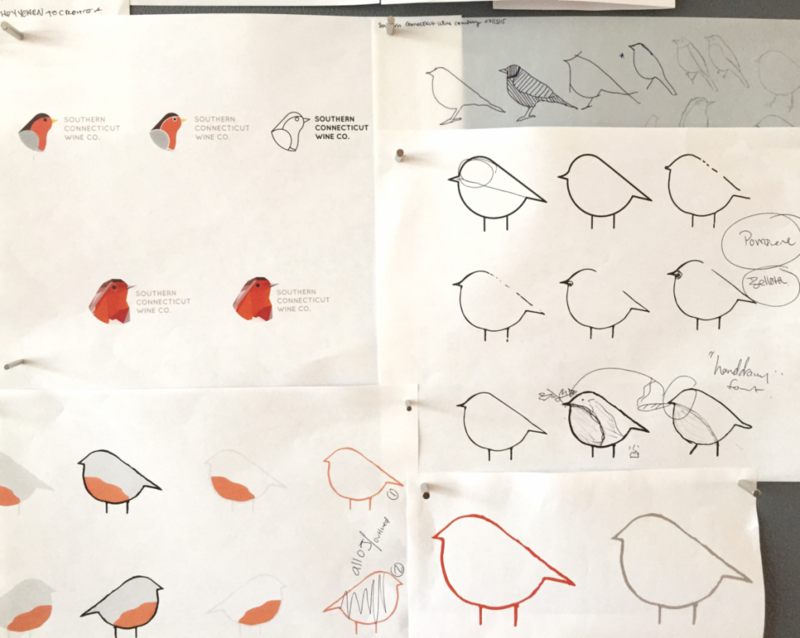 The robin, the state bird of Connecticut, is instantly recognizable to locals–immediately signaling that this brand is close to home. And for non-nutmeggers, the hand-drawn bird conveys a natural product, and an approachable brand presence. For the identity of SoConn Wine Co, the robin was naturally a perfect fit. Read more about our logo development process with SoConn Wine Co here. What do your brand assets–furry, feathered, or otherwise–say about you? Let’s talk.